I was excited for the launch of Vaseline's latest limited edition lip balm, Paint The Town. A lip balm with the promise of hydration and a hint of colour...? I'm in. I had no idea when it was launched however and was pleasantly surprised to see it nestled in amongst the offers by the till in my local Superdrug. 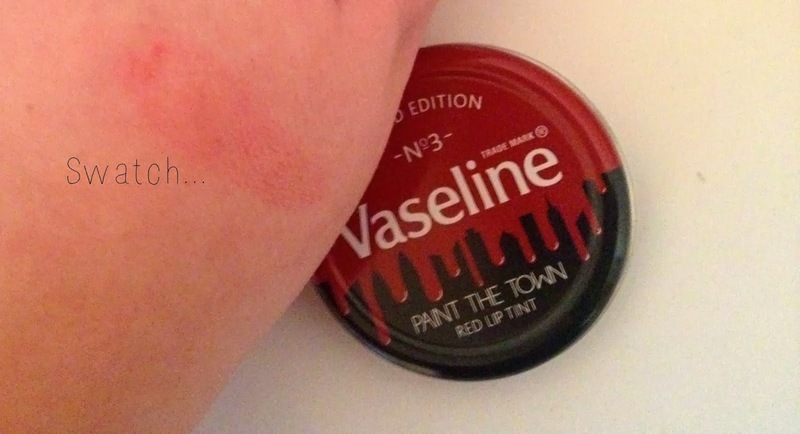 I'm not going to lie and say that having tried this out that I'm absolutely wild about this Vaseline edition. In fact I'm a little disappointed and the how sheer the red 'tint' of this actually is. I had imagined, from looking at the colour of the product in the tin, that there would be a little more colour pay off but believe me when I say that the swatch on my hand above took a lot of building. To be honest, it was also pointless me showing you a swatch of Paint The Town on my lips because I didn't see much colour difference between wearing this and not. However I absolutely adore the packaging of this Vaseline. It's the standard sized tin from what I can tell, and I love how the lid encompasses dripping red paint that forms the silhouette of a city skyline, so chic. It makes you look twice I think, on first glance you either see dripping paint, or the skyline (I love little mind tricks like this!). So all in all, a nice little limited edition Vaseline to add to the collection if you're like me and feel the need to own every Vaseline under the sun. I'm not so much a fan of its practicality but this little tin looks nice on my bedside table...! Are you going to pick this up? What's your favourite lip balm? I had been eyeing this up and my fiance pointed the skyline thing out today, at which point i freaked out with sheer joy and legged it to the til to buy it! My friend has picked this up for me as we were both struggling to find one and I haven't seen her to get it from her! I'm dying to try!! 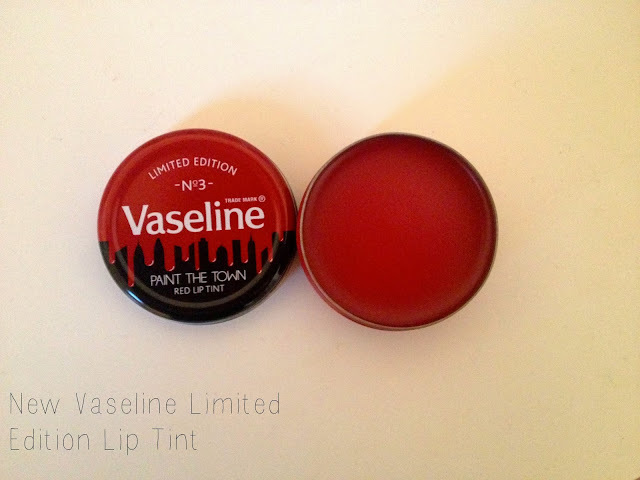 I love the look of the tin but to be honest I don't really use Vaseline as a lip balm so I just stick to the original tins and use it on really sensitive areas of dry skin which appear on my hands from time to time. My favourite lip balms at the moment are the Lush and eos balms.